IGTV is Instagram’s trendy new platform for posting vertical video. For brands and influencers, IGTV is an opportunity to publish new content and reach users exploring the app for the first time. 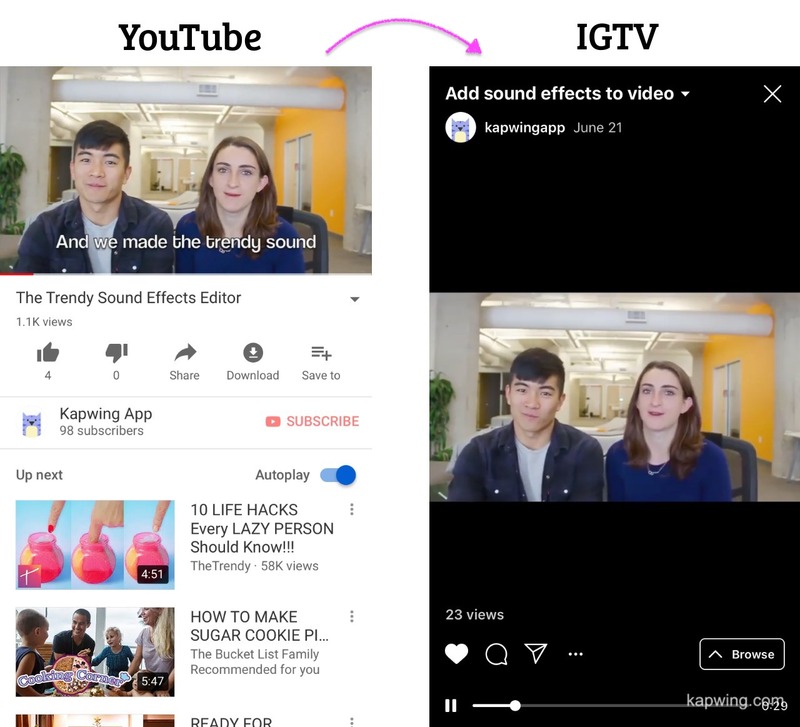 But creating new content is difficult, and if you’ve invested a lot in your YouTube channel you may want to bring over existing landscape videos to IGTV. IGTV requires that videos are 9:16 and doesn’t have built-in tools for resizing videos. The result is that if you try to post a horizontal landscape video it will be cropped to a narrow middle section of the screen. In this tutorial, I’ll show you how to repost a YouTube video to IGTV without cropping out your video. This article uses Kapwing, a free online video and photo editor. It’s ideal for reposting YouTube videos because you can import directly from YouTube instead of having to download and reupload the video. Kapwing supports photos, GIFs, and videos up to 300 MB and 30 minutes long and works on any device (phone, computer, or Chromebook) and OS. Open Kapwing’s Video Resizer and paste the URL of the YouTube you want to Import. Then, choose the IGTV option from the left-hand panel. You can choose white or black padding to show up above and below your video. The arrows below your video preview enable you to zoom in and adjust the positioning of your video on the screen. You can also shorten the video using the button in the upper left corner. Once your preview looks right, just click the CREATE button to process your video, download it, and publish to IGTV. 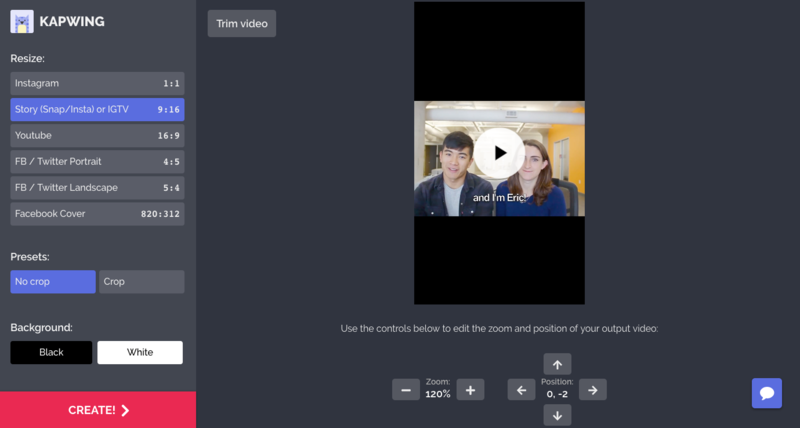 Open Kapwing’s Rotate video tool and paste the URL of your YouTube video to import it. 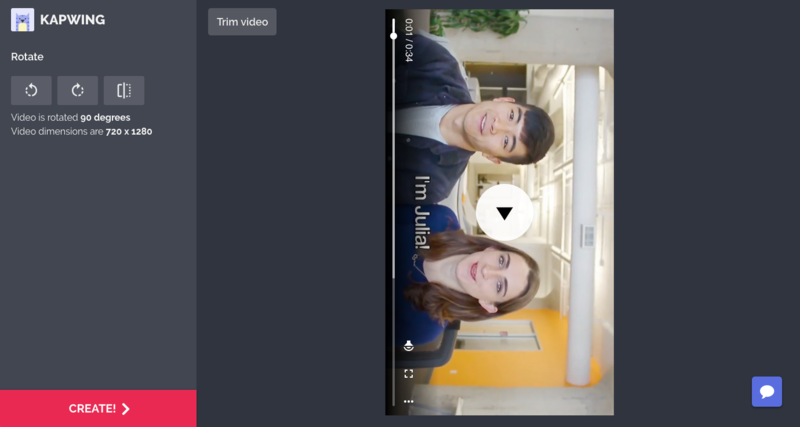 Once your video loads, use the controls in the left panel to rotate your video 90 degrees. Since it’s difficult to make and edit vertical 9:16 video, many creators have started posting rotated landscape videos on their IGTV channel, so yours will fit right in. Click “CREATE” to download the rotated video and post it to IGTV.